Google AdWords Testing Underlining AdWords Display URLs? Home > Google News > Google AdWords > Is Google AdWords Testing Underlining Display URLs? Is Google AdWords Testing Underlining Display URLs? 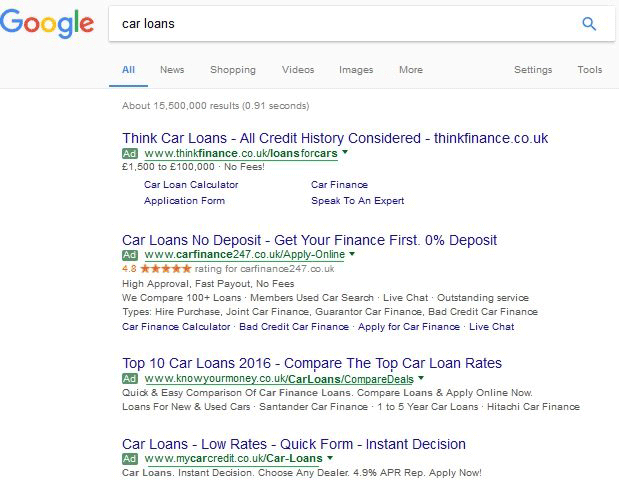 Ronnie Jones shared a screen shot on Twitter of the Google search results, specifically the AdWords listings, showing Google underlining the display URL of the ad. Ronnie promised there was no extension or third-party behavior triggering the URL to be underlined. He said it is on and off on some browsers in his office, depending on the query and time they search. So I guess it isn't specific to one browser, but maybe a test Google is trying on the AdWords results. It looks really bad and ugly to me, so I am still surprised Google would consider testing this but who knows. They've tested uglier UIs before.